Michelle Hernandez is a member of the firm’s Litigation Department and has more than 20 years of extensive experience in all aspects of civil litigation including: products liability, professional liability, asbestos litigation, construction defect, and insurance coverage. 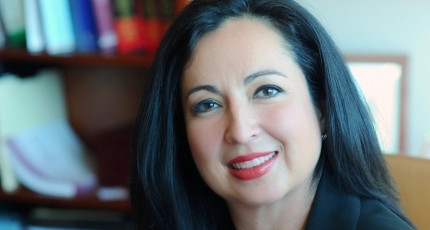 She has represented clients in state and federal courts in New Mexico. She also works on appellate matters. Significantly, she was a member of the appellate team that successfully overturned a $53 million nursing home verdict, which at the time had been New Mexico’s largest personal injury verdict. Michelle has also represented clients in a broad range of commercial matters, including real estate and contract disputes as well as will contests. She has also represented public entities such as law enforcement agencies and public schools in a variety of matters including employment matters and personal injury claims. She has represented healthcare providers including nursing homes, assisted living facilities, nurses and physicians in both litigation and regulatory and compliance, licensing and regulation, and Medicaid/Medicare reimbursement matters. She has also provided advice on administrative matters. Michelle also has experience in government relations, lobbying for economic development legislation at both the State and County level. She also has experience in state and local procurement and in drafting and reviewing procurement contracts. In addition, Michelle has provided advice to individual clients on business formation and contract liability issues. Her vast experience and counsel has helped clients strategically navigate difficult litigation and complex commercial matters by providing them with early strategic thinking and efficient litigation and risk management advice. Michelle has achieved an AV® rating from Martindale-Hubbell, the highest rating for professional ethics and legal ability by her peers and has been included in the Bar Register of Preeminent Women Lawyers since 2014. She is among those listed in Southwest Super Lawyers®. Born and raised in Albuquerque, New Mexico, she has family throughout Northern New Mexico. Prior to joining Modrall Sperling, Michelle served as a judicial law clerk to the Honorable Joseph F. Baca, Senior Justice for the New Mexico Supreme Court. Michelle serves as Co-Chair of the firm’s Technology Committee. She is also currently on the Board of Directors for the National Institute of Flamenco. Successful appeal for nursing home, the New Mexico Court of Appeals overturned what had been New Mexico’s largest personal injury verdict of $53.2 Million ($3.2 in compensatory, and $50 Million in punitive) in a case involving a woman who died in a nursing home. The Court of Appeals decision was appealed to the Supreme Court and the case settled after the Court granted a writ of certiorari. Member of the Modrall Sperling defense team representing ManorCare. See Keith v. ManorCare, Inc., 147 N.M. 452, 224 P.3d 1257, (2009).